Certain communities in South Africa are more marginalized, with little or no opportunity or clear pathways for economic progress. It is in these under-resourced areas where unemployment is the most acute. Education levels are low, and job opportunities and livelihood creation are scarce which further exacerbates the dependence on social grants. WILDLANDS, through a programme known as the ‘Rural Sustainable Enterprise Development and Skill Strengthening Programme’, made possible by a grant from the Walmart Foundation handed over 40 New Venture Creation (NVC) accredited training attendance certificates to learners from KwaJobe and Mandlakazi in Northern KwaZulu-Natal. These certificates were awarded to students that have successfully attended 10-unit standards of learning and are successfully running their own businesses. The various unit standards covered topics which included Professional Behaviour in Business, Ethics, Customer Service, Marketing, Financial Management and Market Needs. This completes the first year of the three-year small business skills training programme. WILDLANDS hopes to have over 200 individuals running successful and sustainable small businesses, improving the lives of their own families and those of their fellow community members – at the end of the three year programme. The New Venture Creation Skills Programme is a NQF level 2 accredited programme. The course structure includes facilitated training sessions, practical assignments that contribute to the development of their businesses and support from local mentors. The primary objectives of this programme will improve the candidates’ entrepreneurial capacity and employability with the intent of improving their livelihood and encouraging the development of the local rural economy. In addition, the training will encourage and support the development of businesses that contribute to sustainable resource use and leverage opportunities of the Green Economy. “The certificate handover ceremonies allowed us the opportunity to show the friends and family members of our NVC trainees as well as the wider community what they have accomplished. I think that it represents an important step in the journey of our NVC trainees. The small businesses established have not only benefited the individuals who have created them, but also the communities in which the entrepreneurs are living through enabling easier access to a wider range of products and services, including garden services, poultry businesses, tuck shops, clothing stores and bakeries,” added Samantha Houghting, WILDLANDS’ Strategic Manager – Sustainable Livelihoods. “The community has already seen major benefits from the NVC programme. Members of the youth who were unemployed and not eligible to obtain a tertiary qualification are now business owners and have something to do for a living. This programme also keeps the youth occupied and out of criminal activities,” Zodwa Gumede – WILDLANDS NVC Project mentor and facilitator. “I would like to thank WILDLANDS for making me part of the NVC programme. I have learnt a lot including money management skills. In the past, I would get money and spend it on unnecessary things. 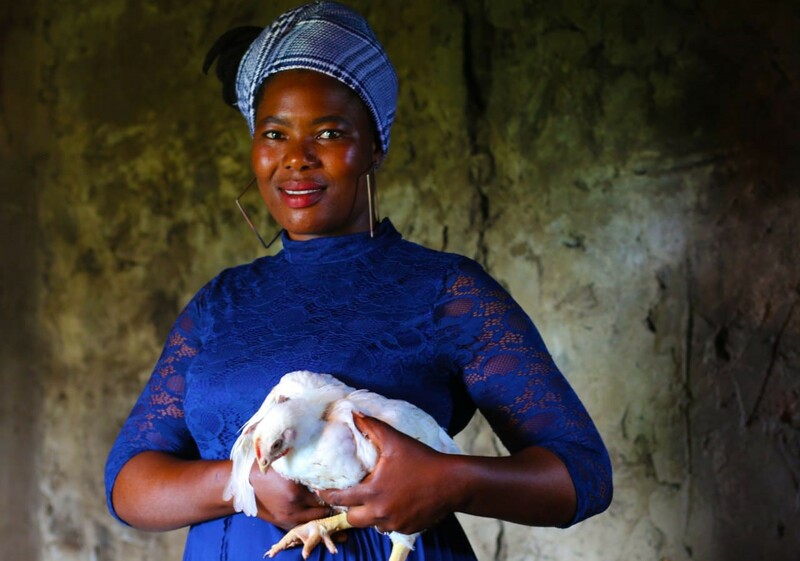 I have learnt valuable business skills and now all the money I will get, I will reinvest into the business so that it can grow, and I can support myself and my family,” Xoliswa Mazibuko, trainee from KwaJobe commented. Senzeni Ntshembene (27) from KwaJobe shared her personal journey with the WILDLANDS team and had this to say, “I can say that I joined WILDLANDS a long time ago because I was helping my mother nurture and care for her trees because she was a Tree-preneur. When I was chosen as one of the NVC learners, I knew I had to make this work as I used to sell chips on the side of the road and at the local schools. I always had a wish to have my own business but having no capital was a challenge,” she said. “So, the New Venture Creation Program came as a good Samaritan. Now I have my own poultry farming (Senzi’s Poultry) business. As a bread winner at home, the money from the business helps a lot in buying food for the family,” she concluded. Senzeni is a single mother, with a one-year old son. Her small business is now helping to support her son and her parents, who she lives with.